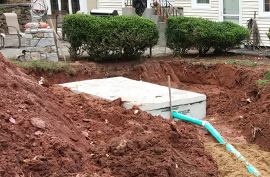 Looking to Connect Your Water & Sewer to the Street? 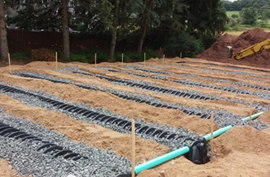 We can help you convert from Septic and well water to public utilities. We offer dependable excavation services while providing excellent customer service. Our goal is to help you understand what you need to get the job done right the first time. If you see wet spots in the lawn or any unusual plant growth near near sewage leaching system it may be time to get it replaced. 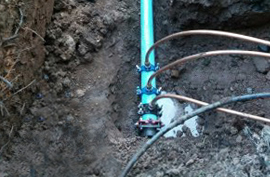 Water main repairs are necessary for damaged pipes. 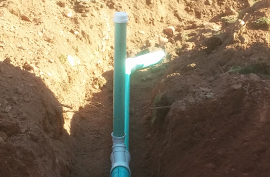 We also replace service connections from curb valve to your house. 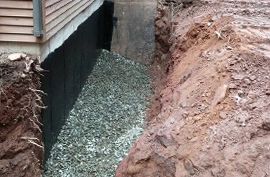 We can install new or repair old leaching fields on your property. We can also do an on-site evaluation of your septic system. Full replacement or repair of existing sewer lines and conversions from septic to public sewer which includes new mains and laterals. Improperly sealed foundation walls and clogged drains can lead to water in the basement which needs to be repaired. 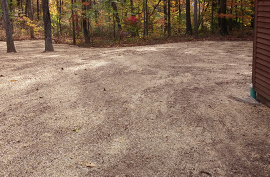 In order to get plush grass it all starts with the fill and topsoil which is graded and leveled properly for the seeding process.